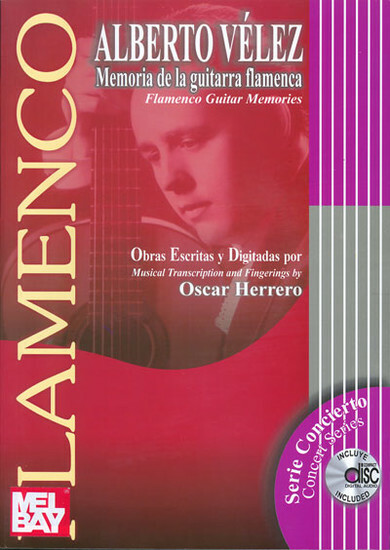 This book and CD set contains eight works for Flamenco Guitar, written by Alberto Velez with musical transcriptions and fingerings by Oscar Herrero. A guitarist of extensive skill and repertoire, Alberto Velez's remarkable depth of musical knowledge is noteworthy. Having performed with such outstanding artists as Ramon Montoya, Nino Ricardo and Mario Escudero. He accompanied many important flamenco singers including Manuel Vallejo, Jose Cepero, Pepe Marchena, El Gloria, Tomas Pavon, Valderrama, Canalejas and Fosforito -- as well as renowned flamenco dancers such as Antonio and Rosario. 144 pages.